Internet crime is seemingly ever on the rise, making the need for a comprehensive resource on how to investigate these crimes even more dire. 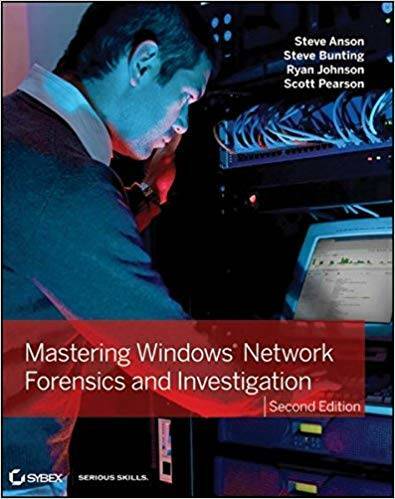 This professional-level book–aimed at law enforcement personnel, prosecutors, and corporate investigators–provides you with the training you need in order to acquire the sophisticated skills and software solutions to stay one step ahead of computer criminals. Call us toll free at (866) 345-3345, or email us at info at burgessforensics dot com. Burgess Forensics is a leading provider of computer forensics, expert witness and data recovery services. Pioneers in the industry, providing quality services since 1984, Burgess has extracted digital data from tens of thousands of clients' computers and media, whether owned or seized by court order, through four decades. Can You Browse the Internet in Secrecy? © 2019 Burgess Forensics. All Rights Reserved.